The spectacular new Volvo Ocean Race Trophy was unveiled in Race Headquarters, Alicante this evening, in front of representatives from all 10 host ports, the racing teams, local authorities and race sponsors. 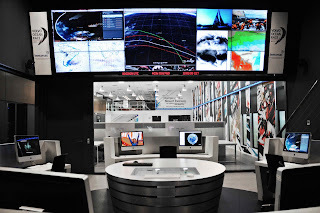 This event crowns the first night of the Volvo Ocean Race Conference for the 2011 – 12 edition. The Vice President of the Generalitat Valenciana, Gerardo Camps, joined Knut Frostad, CEO Volvo Ocean Race to unveil the new trophy. As with the Olympic Games, there is no financial reward for winning this 37,000 nautical-mile race around the world, but this beautifully designed trophy symbolizes the glory of winning what is still one of the most extreme challenges in the world of sport. Just competing in the Race represents an achievement, with success meaning everything to those who have achieved it. The final design of the new Volvo Ocean Race Trophy is a product of a highly fought over bidding process, which Spanish company Proximma Comunicación won. 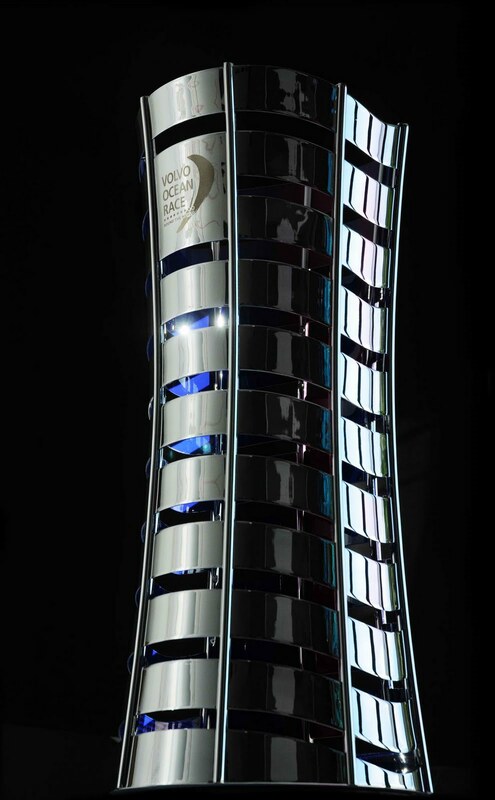 The trophy, which stands 70cm high and weighs nine kilos, comprises of 11 wave-shaped rings, each one representing an edition of the race. A new ring will be added after every future edition. Through the masts supporting the rings, there is a glimpse of the blue ocean hidden inside. Made of aluminum and silver plate, this trophy represents a modern yet legendary race, which has a heritage of 37 years. 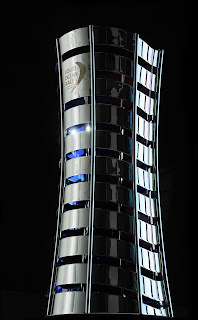 Leading edge design, satellite communication, technology and innovation have always played an important role in the development of the event and the new trophy reflects this. Engraved on each ring, is the year of the race and the route, together with the name of the winning boat and her skipper. The eleventh ring will be engraved at the end of the event when it finishes in Galway in the summer of 2012.